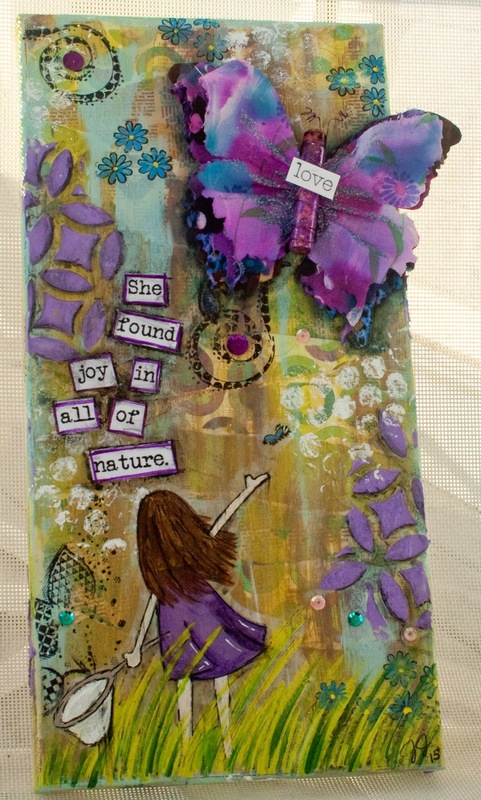 Hi Stampers, This weekend I went away on a scrapping retreat with some friends and I made this She Art. 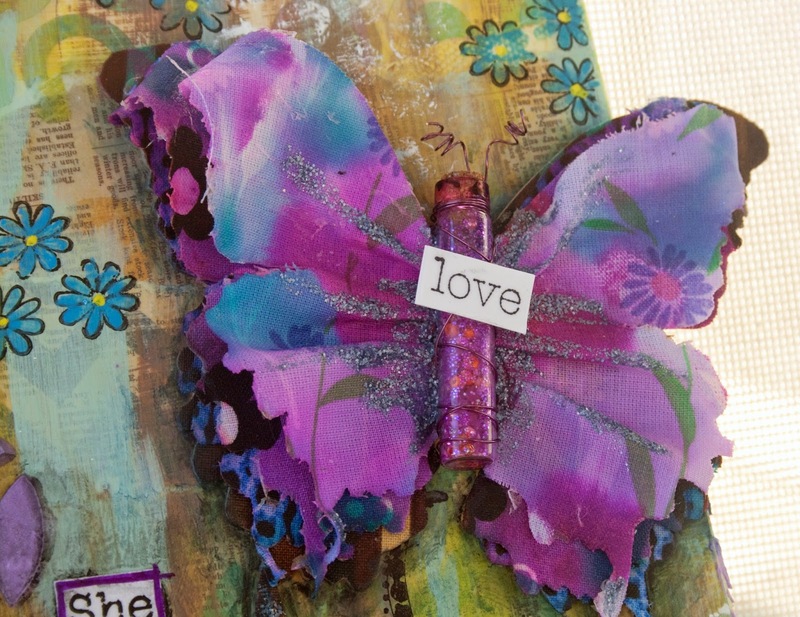 I started with this butterfly inspiration and started there. Then I remembered this stamp from Unity and found a perfect match for a she art. 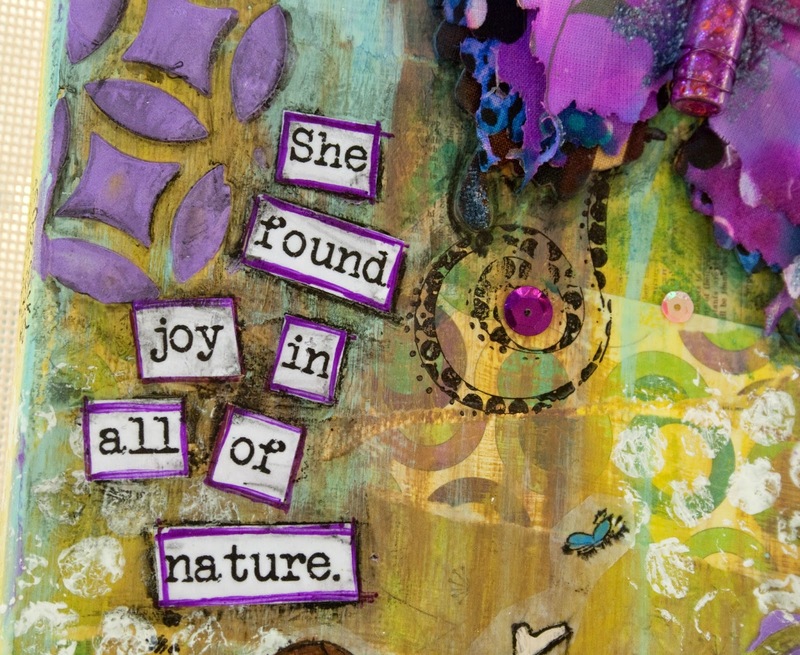 I started with layers of scrapbook paper painted over a bit. The girl is stamped on deli paper and Mod Podged down on the canvas and I painted over. 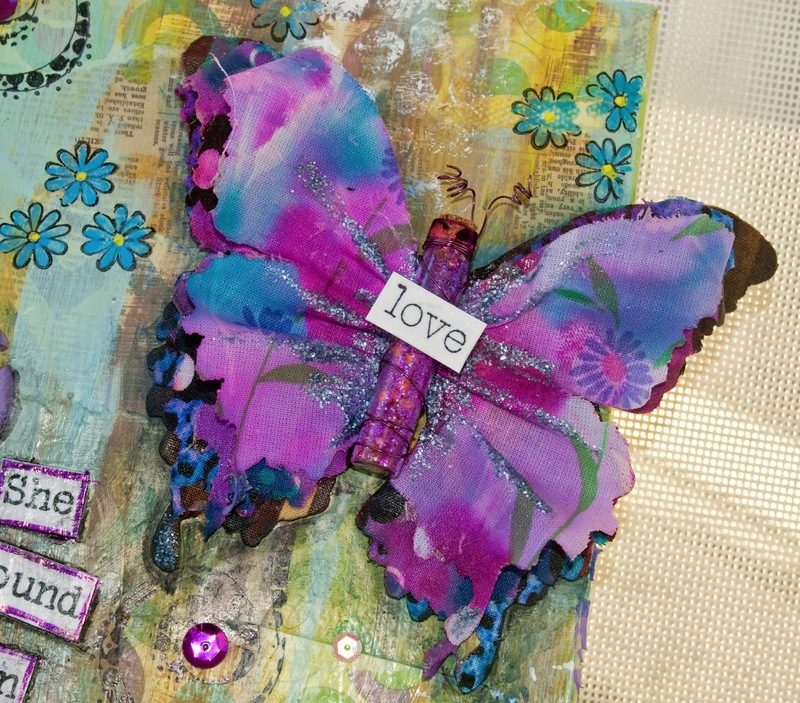 There is miscellaneous stamping on the canvas and some texture paste with a home made stencil from a die cut I have. Sequins are always a fun addition....kind of reminded me of the butterflies in the grass she is catching. Had a great time of inspiration this weekend. 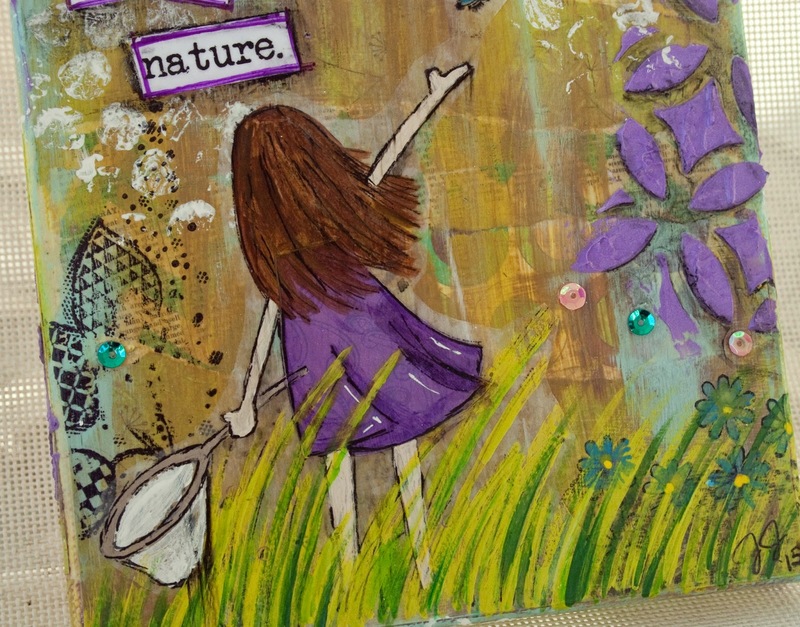 Turn back in tomorrow to see some art journaling that I did.